Traditional yogurt, made with cow’s milk, is off-limits to those with milk allergies or anyone following the Autoimmune protocol. But yogurt is one food that I miss. 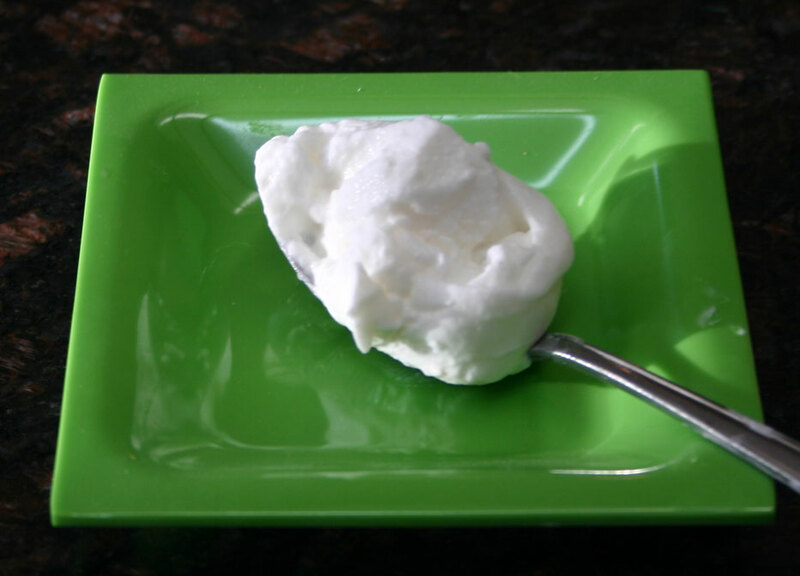 Coconut yogurt is a healthy alternative that’s made with coconut milk instead. In addition to being dairy free, coconut yogurt also supplies several important vitamins and minerals and can have live and active cultures just like milk-based yogurts. Not only is coconut milk yogurt a great idea, it’s really delicious. It’s tangy and creamy like a yogurt should be. The only problem is that there is almost no protein in it, and this means that it does not thicken up in the same way that a regular cows milk yogurt does. And this is the reason why those store bought brands contain the added gums and thickeners that I would prefer to avoid. The ideal solution to wanting to avoid all those gums is to make your own. Some recipes for homemade coconut milk yogurt use tapioca starch or pectin as a thickener. But I like to use gelatin as it provides some protein, and has other health benefits. This is the brand of gelatin that I prefer to use because it comes from grass-fed cows. The final thing that you need is a yogurt starter or culture. You could use a spoonful of purchased coconut milk yogurt, but as I mentioned, that will most likely contain gums and thickeners. Another suggestion is to use a yogurt starter. The final option that you could use is some probiotic capsules. I find this the most convenient starter to use as I always have some probiotic capsules to hand. I use this one as I find it suits me best. I don’t have a yogurt maker – I make my yogurt by heating the milk and then wrapping it in a towel and placing it in a warm place (the cupboard over the top of the fridge is ideal in my house. If you have a yogurt maker, you can certainly use that. Other suggestions are to place the jar containing the yogurt in an oven with the pilot light turned on, to place it in an insulated cooler with some jars of hot water, in a slow cooker or even placing the jar on a heating pad. If you have a dehydrator with a temperature setting that goes low enough for raw foods, you can also use that to incubate your yogurt. The key thing is to keep the yogurt at a temperature between 108°F and 112°F. Heat the coconut milk to 115°F. Sprinkle over the gelatin and mix well. Allow the milk to cool to 110°F. Now sprinkle over the contents of the probiotic capsule, or stir in your yogurt starter. Mix well. Transfer the coconut milk mixture to a mason jar. Keep the jar at a temperature of between 108°F and 112°F. This can be achieved by wrapping the jar in a towel and placing it in a warm place, by placing it in the oven with the pilot light on, by using a slow-cooker or dehydrator, or by using a yogurt maker. Whatever method you choose, it is important that the heat does not go above 112°F as that will kill the cultures. Allow the yogurt to incubate for anything from 12 up to 24 hours. A longer incubation time will result in a more sour, tangy yogurt. Experiment and find what time-frame produces a yogurt that you like. 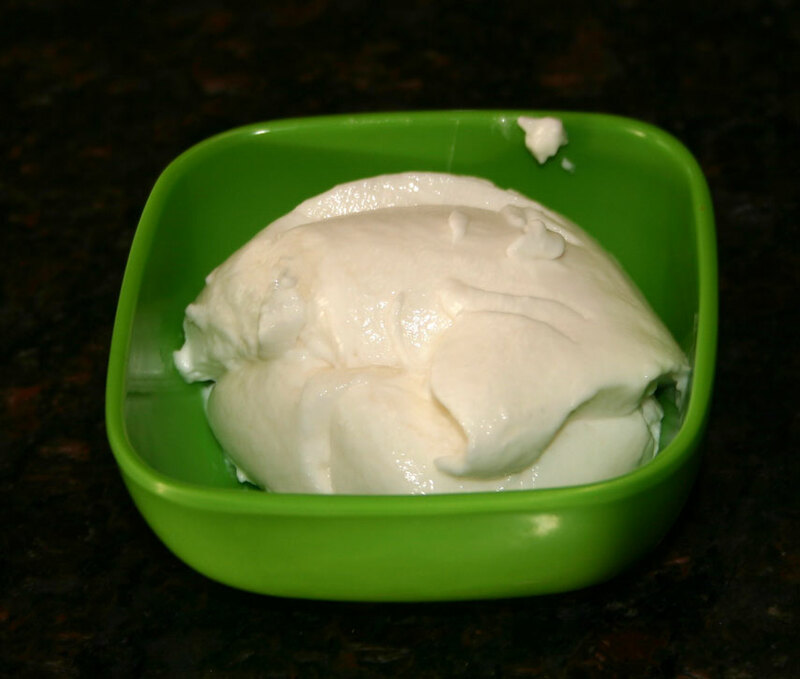 After the fermentation, you may find that your yogurt has separated slightly – this is normal. It will also be quite thin and runny. I use a whisk and mix the 2 layers back together again. Place the yogurt in the fridge for 2-4 hours and it will thicken slightly as the gelatin sets. The yogurt will keep in the fridge for at least 7 days. Use in recipes that call for yogurt, or eat it topped with berries. This entry was posted in Autoimmune Protocol Foods, Recipes and tagged AIP, Autoimmune Protocol, coconut milk, paleo, probiotic, yogurt. Bookmark the permalink. The reason I like to add a starter culture or probiotic is that I want to be able to control what cultures are growing in my yogurt. Because coconut milk is made with hot water, any of the natural cultures on the coconut have been killed by the heat. This means that whatever grows in the yogurt if you do not add a starter culture is what is floating around in the environment. Some of these could be good, some could be harmful. I prefer to be sure that it is only the “good” cultures that are growing in my yogurt. Coconut yogurt with no additional probiotic is a possibilty. I do it all the time. Make your own coconut milk from shredded coconut and water. Blend, squeeze out ising nut bag or thin kitchen towel or even a t-shirt. Then spread out the pressed mash on a oven sheet and bake on very low heat for 2 hours. Thankyou for your comment – I do the same to make coconut milk and coconut flour. But when it comes to yogurt, I prefer to be able to control what cultures grow – hence adding the probiotic. I want to be sure that I am not accidentally culturing harmful bacterial cultures. I totally agree, and thats what made me stop using the probiotic capsules. I live in Holland and finding (and then affording) good quality probiotics was a bigger challenge for me than I could manage. So i tried to ferment without, and it worked! We’ve been drinking the slightly soured fresh milk like this for many months. Its easy to determine if the milk has “turned” bad, just by smelling it. But I understand the fear- i had it too for the first 3 bottles 😁. But I didnt get sick in the least! Can you use almond milk instead of the coconut milk? I have tried recipes with coconut milk and haven’t liked the result. Bought a yogurt maker and it is just sitting there because I am not a huge coconut milk fan. I have no idea if almond milk will work. I have never tried it. I do not use almond milk myself because I cannot tolerate any nuts including almonds (and nuts are not AIP). Thanks – new to this lifestyle. Appreciated your response. Delicious thanks for sharing coconut yogrut, to Hearth and soul blog hop, pinning, tweeting and sharing in google plus. Thanks for sharing, I’ve been looking for a coconut milk recipe! I would like to try this and was wondering, if I wanted to add collagen hydrolysate to add protein, would it be better to add it at the beginning or after it has finished fermenting? I would probably add it at the beginning. The collagen should not cause a problem with the fermentation process. I made your coconut yogurt this week and it turned out perfectly and is delicious! Many thanks. I have been using it to top a mostly raw blueberry/cherry pie and it is outstanding!